Special desi paddy variety Sidda Sanna is quite popular in the market due its amazing taste, good aroma and small grain size. 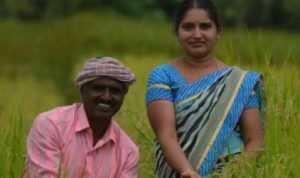 It is the discovery of Mr. Boregowda S. “This white coloured paddy variety can be cultivated in rainy season and summer season too as it requires less water. It can be grown with SRI method. Grows in less space, high-yielding, rarely gets attacked by pests/diseases and gives ample of fodder for cows are its unique features. It is harvested in 135 days. 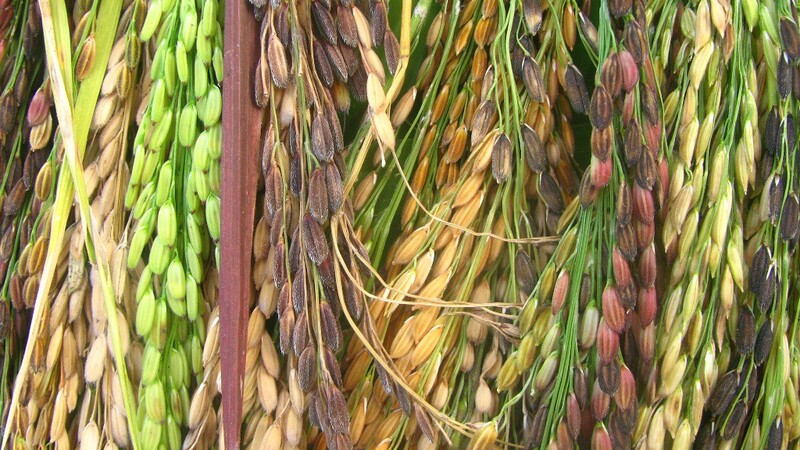 Post harvesting, it can be processed and cooked immediately as rice grains do not stick to one another unlike other rice varieties that needs to be aged. When processed into rice the loss percentage is very less. It responds well to chemical, organic and natural farming,” he adds. In one acre 10-16 kg Sidda Sanna seeds are required that yield 20-22 quintal paddy. Mr. Boregowda’s 2.5acre farm is located at Shivalli village Mandya district, Karnataka. He has preserved 210 desi paddy varieties. Few to name are Sidda Sanna, Salem Sanna, Ratnachudi, Kempanna, Chinnapanni, NMS-2, HMT, Burma Black, Rajmudi, Ponguru etc. To conserve and showcase these traditional seeds he has established a seeds museum. “In my seeds museum I preserve the paddy plants with its roots and panicle. Farmers can see the paddy seeds and plants in off season too. I grow 8-10 desi varieties in every season for conserving the seeds,” he asserts. Along with growing and conserving native paddy varieties Mr. Boregowda also cultivates sugarcane and banana occasionally. 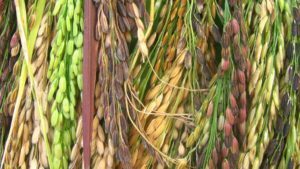 “Since 2004 I am primarily growing paddy for seeds to be sold to other farmers as well as process into rice to be sold to the direct consumers,” he informs. Sidda Sanna paddy was developed in 2010 and since then it is being sold regularly as seeds and rice. 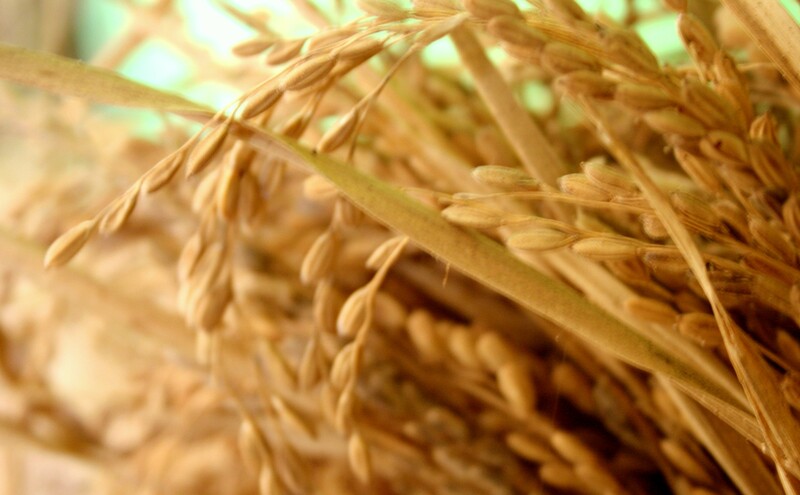 Sidda Sanna paddy is developed from local variety called Gandha Saale. “When I observed the plants of Gandha Saale, I could spot one plant with special panicle. I preserved the panicle and transplanted in an excluded patch on my farm. It yielded 2 kg paddy. Next season, I developed around 300-400 plants from these 2 kg seeds. It produced 50 kg grains. Then after I multiplied it and documented the entire production process in detail. It was then shared with Sahaja Samrudha NGO. They supported me and farmers were given the seeds. I named this paddy as Sidda Sanna in the remembrance of my parents. Today this desi small grain rice has good demand in the market and popular amongst the farmers,” he elaborates. Mr. Boregowda is an organic farmer hence doesn’t use any chemical agri inputs in his farm. To nourish the soil and improve its fertility he cultivates green manure crop dhanchia seeds, horse gram, cowpeas, urd, green gram and sesame on the bunds of paddy field. Post harvesting the plant residue is ploughed back in the soil. “I do not buy any manure for my farm. I spray jeevamrutha on crops and pour on the soil. In one season of paddy I use jeevamrutha on crops twice and 6 times on the soil. With these measures not only the crop yield is high in my farm but also the pest or disease attack is very less. Sidda Sanna paddy too is almost pest and disease resistant,” he informs. Mr. Boregowda sells desi paddy seeds at Rs. 60/kg and rice at Rs. 70/kg. “As the quality of my seeds and grains is good I receive the calls from customers directly. After they make online money transfer rice/seeds are sent through VRL. The transportation charges are borne by the buyers,” he shares. There are approximately 1000 farmers regularly buying seeds from him. 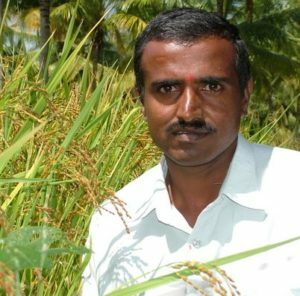 In future he wants to continue working on traditional varieties of paddy and develop some more high-yielding paddy seeds. “To get good yield it totally depends on harvesting. Crop harvesting must be done before all the grains get ripened in the panicle. Ensure to stop the water supply before harvesting. Post harvesting, we should separate the grains from the grass in less sunlight and store after it gets completely dried. With this little technique surely farmer can get good quality of paddy,” he concludes sharing the secret of getting high paddy yield.